A podcast about all things Macintosh. For Mac geeks, by Mac geeks. 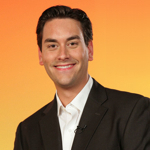 A special episode of the Maccast, we interview Clayton Morris a self-described casual geek and anchor from Fox and Friends on the Fox News Channel. Clayton is a switcher to the Mac and we talk over his reasons for switching, how he uses his Macs and iPhone as tools at Fox, how technology and podcasting is changing the face of media and more. A podcast about all things Macintosh. For Mac geeks, by Mac geeks. Show 253. Apple Q1 results call. Updates for Macbook White and Quicktime. Intel Quad price cuts spawn iMac rumors. New trojans and exploits target Mac. iLife ’09 shipping Tuesday. NVIDIA Graphics Update 2009. Mac turns 25. Listeners like ‘Things’ too. An Apple without Jobs. $200 Unibody Macbook Pro matte screen replacement Macworld 2009: Griffin Technology. Bulk Address Book changes. Formatting on Mac drives. Force iWeb to convert text to graphic. Backing up your iTunes library to DVD. A podcast about all things Macintosh. For Mac geeks, by Mac geeks. A special episode of the Maccast from Macworld 2009. Talking with Michael Simmons from Cultured Code about their new task management application for the Mac, iPhone, and iPod Touch, called Things. A podcast about all things Macintosh. For Mac geeks, by Mac geeks. A special episode of the Maccast from Macworld 2009. 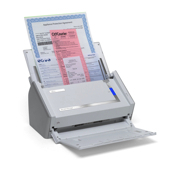 We run down the current and upcoming lineup of ScanSnap consumer document scanners from Fujitsu. We discuss how these devices along with some great Mac software can help you better organize, backup, and green your home and office. A podcast about all things Macintosh. For Mac geeks, by Mac geeks. A special episode of the Maccast from Macworld 2009. I sat down to talk to the folks from Quickoffice about the new Pro version of their MobileFiles iPhone app that is bringing full native Microsoft Excel editing to the iPhone. A podcast about all things Macintosh. For Mac geeks, by Mac geeks. A special episode of the Maccast recorded live from Macworld 2009. We sit down and discuss our reactions to the final Apple Macworld Keynote delivered by Phil Shiller. This show features special guests Victor Cajiao (Typical Mac User) and Ken Ray (Mac OS Ken).